Because Valentine’s Day is on a Friday we will not be offering the regular Friday prix fixe. We’re sorry if this causes any inconvenience! 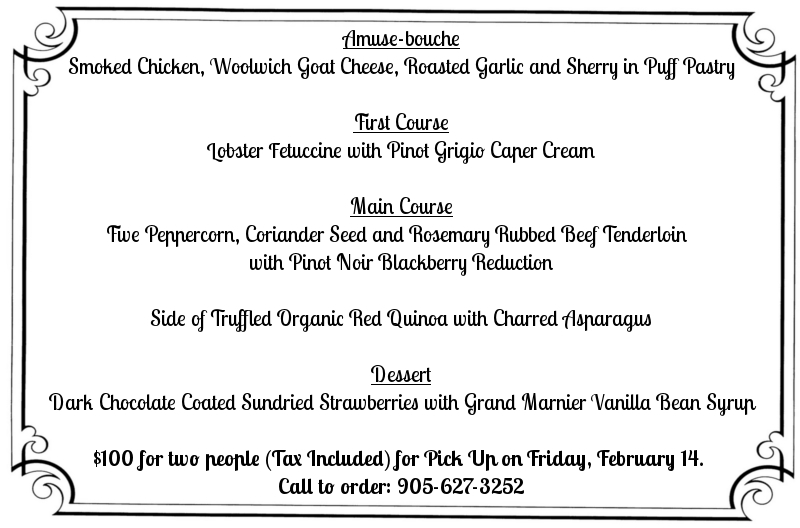 However, you can enjoy our luxurious Valentine’s Day dinner to go for two people for $100 (tax included).